All-purpose glossy tape is ideal for sealing, mending and protecting paper items. Self-adhesive film is transparent so it blends easily with your object. 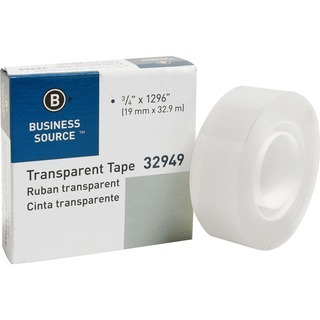 Tape has a 1" core for use in desk dispensers.